This list started out as a Top Ten, until I realized very quickly that narrowing it down to ten was downright impossible. Even 20 was difficult. There are so many, really. I thought about doing it by specifying only commercial buildings, or churches, or residential homes, but I didn’t want to exclude any. I lived in Minneapolis for 5 years and always thought the buildings were cool, but only recently have I come to truly appreciate the diversity of the unique architecture of the Twin Cities. Here are 20 unique buildings found around Minneapolis/St. Paul. 20. Lake Harriet Bandshell, Minneapolis – Set on the shores of the popular Lake Harriet in south Minneapolis, the pavilion-style Lake Harriet Bandshell offers free concerts in the summer months and was built in 2004, updating the prior one from the 1980s. 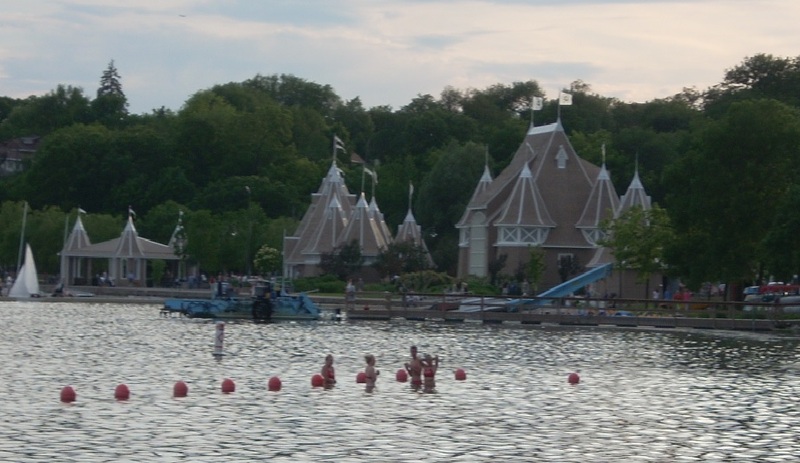 The signature turrets on the buildings are said to match the architecture of the original bandshell that was destroyed by a fire in 1903. The bandshell is a popular summer gathering place, adjacent to a sailboat marina, the Como-Harriet Streetcar Line, and a public swimming beach. 19. 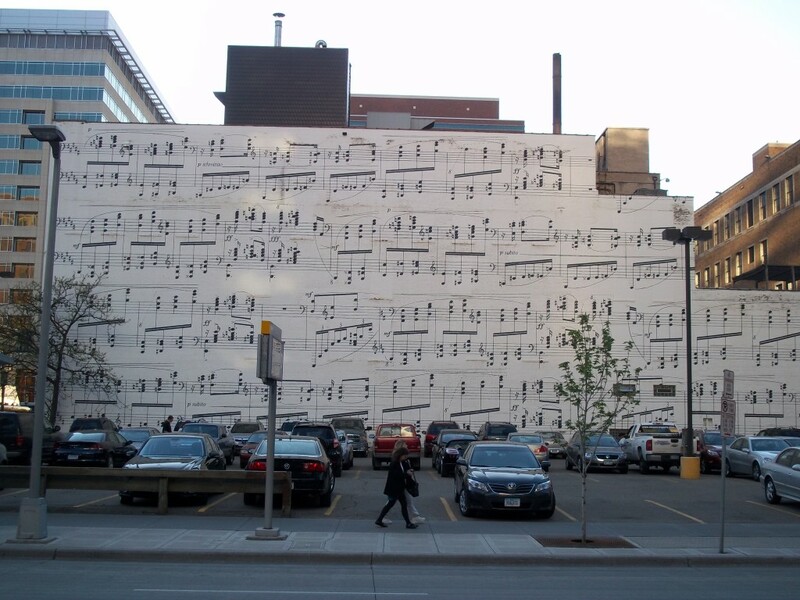 Schmitt Music Building, Minneapolis – Schmitt Music is a retailer of musical instruments and all other things related, and it was originally headquartered in downtown Minneapolis and has been around since 1896. To set their building apart from the others, they bricked up windows on one side of the building and asked an employee to paint this mural. After sifting through sheet music in the store, she chose a classical piano piece by Maurice Ravel for the design. Schmitt Music has since moved elsewhere, but it was decided to leave this work of art for future generations to enjoy. 18. 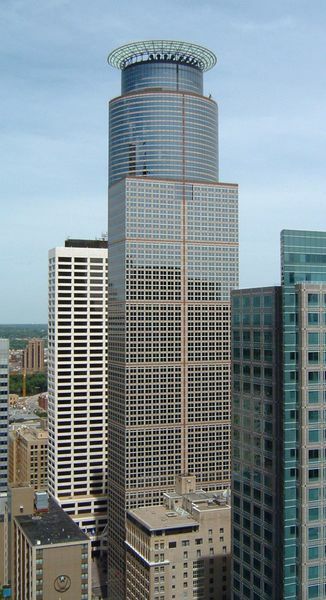 Capella Tower, Downtown Minneapolis – The only real skyscraper on the list, but I had to include it due to its uniqueness in the Minneapolis skyline. The second tallest building in the state, it features two sets of round towers on top of six stories of stacked cubes, and a “halo” on top for antennas and a communications network. 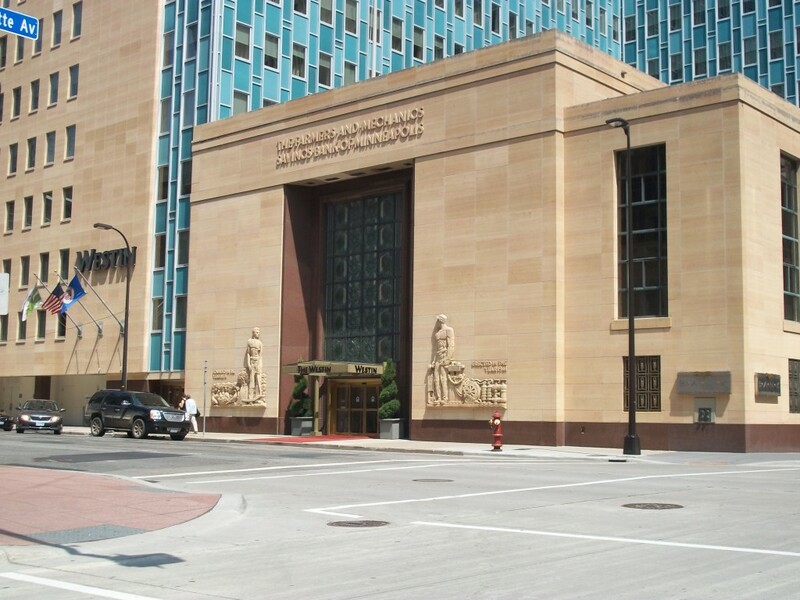 It was constructed in 1992 as the original home of US Bank. 17. 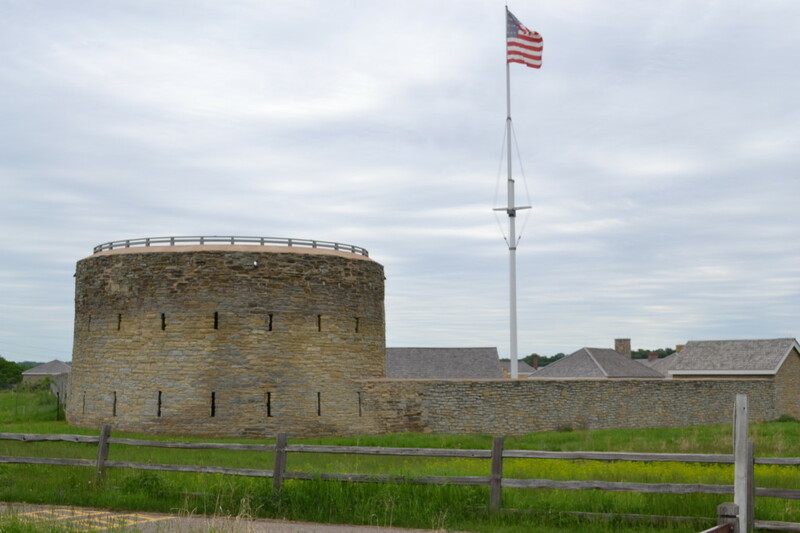 Ft. Snelling Round Tower and Fort Stockade – Rich with history from before Minnesota was even a state, Ft. Snelling was a military fortification found at the confluence of the Minnesota and Mississippi Rivers on a bluff, providing a vantage point for advancing enemies. Dating back to 1825, it was named after Colonel Josiah Snelling. Fort Snelling is now under the management of the Minnesota Historical Society in the confines of a state park. Re-enactment scenes are done here during holidays such as Memorial Day, and the Round Tower is accessible to visitors. 16. 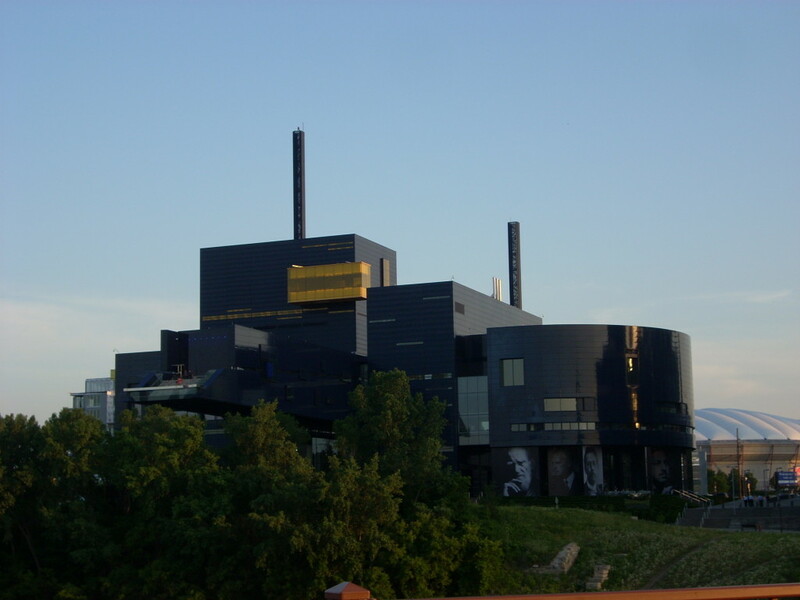 Guthrie Theater, Minneapolis – The current Guthrie Theater was only built in 2006, although the Theater’s history goes back to the 1960’s. It’s architecture is award-winning and the facility has garnered several awards for its importance. Clad in deep blue exterior panels and yellow trim, it also feature a 178-foot cantilevered bridge (called the “Endless Bridge”) that extends out over looking the Mississippi River. The facility has three separate theaters and maintains its status as a world-class theater. 15. 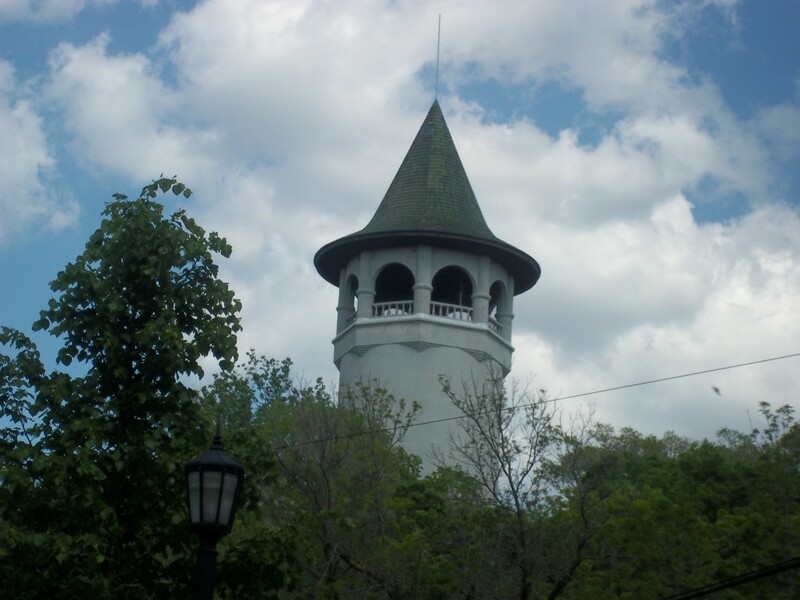 Witch’s Hat Water Tower, Minneapolis – Formally known as the The Prospect Park Water Tower, this historic water tower in Prospect Park in Minneapolis bears a strong resemblance to a witch’s hat, and is rumored to be the inspiration for Bob Dylan’s classic song “All Along the Watchtower” from his days living in Minneapolis. This one is also listed on the National Register of Historic Place and is visible protruding from the trees as you cross the Mississippi River on I-94. It’s been around since 1913 and is open once a year to visitors in June. 14. 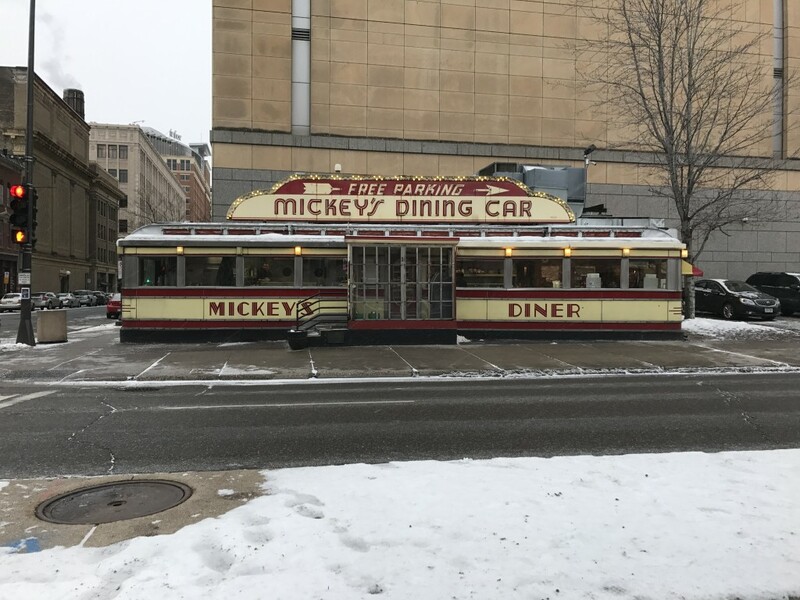 Mickey’s Dining Car, Downtown St Paul – Good old Mickey’s Diner in downtown St Paul measures only 50 feet long and 10 feet wide. A pre-fabricated Art Deco streamliner dining car from the 1930s, it is claims to have been continuously open 24 hours a day since its inception before WWII. It has been featured in several movies such as The Mighty Ducks, it was placed on the National Register of Historic Places as the only place of its kind in Minnesota. Mickey’s will likely be busy anytime you try to visit. 13. 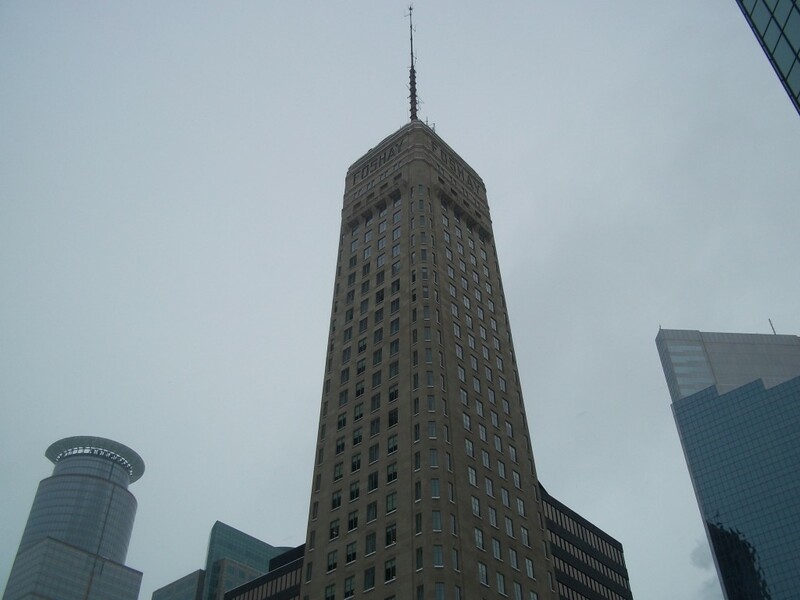 Foshay Tower, Minneapolis – The original “skyscraper” of Minneapolis, the Foshay Tower, built in 1929, was once the tallest building west of Chicago. The building is is another example of Art Deco architecture, a favorite of mine, and was modeled after the Washington Monument in D.C. It was listed on the National Register of Historic Places in 1978. Standing at 447 feet tall, it is now dwarfed by the surrounding skyscrapers which came along later in the 1970s. It’s currently home to the W. Hotel which has preserved the interior as well. 12. McNamara Alumni Center, U of M Campus, Minneapolis – Named for Richard McNamara, a 1956 alumnus of the University of Minnesota and former football player,the McNamara Center opened as recently as 2000. 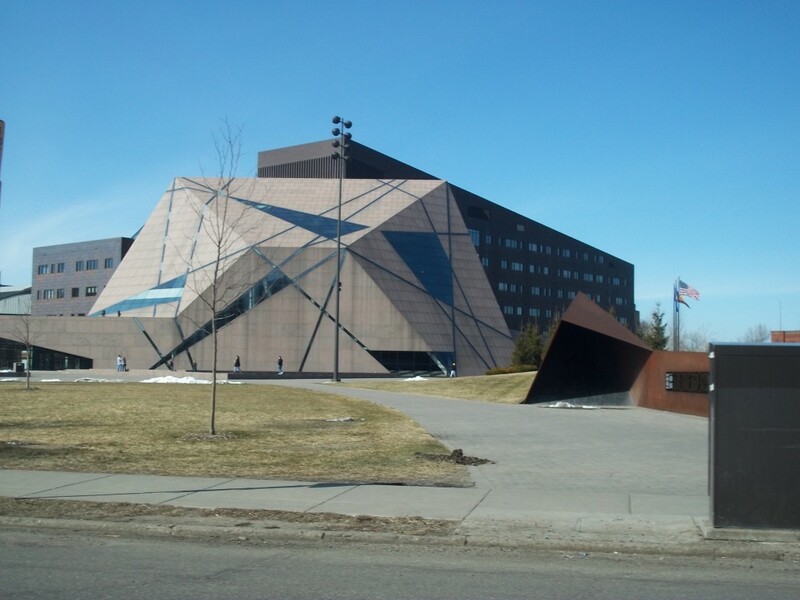 Designed by architect Antoine Predock in 1996, it features an asymmetrical geode-styled exterior built with granite and copper. The inside features large expanses of hemlock wood panels. Fun Fact: The music video for the song “Drive” by the band Incubus was filmed here. 11. Farmers and Mechanics Savings Bank, Minneapolis – This former bank building, constructed in 1942, is another great example of the Art Deco movement and features stone relief structures of a farmer and a mechanic on each side of its exterior doorways. Although it is now home to the Westin Hotel, much of the original interior has been preserved. The original teller lobby is now the front desk and the bank vault is a conference room. 10. 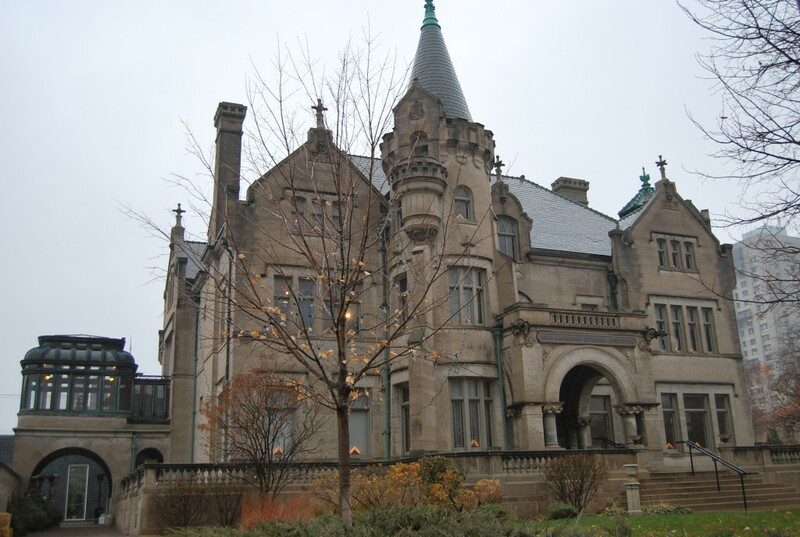 American Swedish Institute, Minneapolis – This castle-like structure found in south Minneapolis is home to the American Swedish Institute, which is an organization dedicated to the preservation and study of the role Sweden and Americans of Swedish heritage have played in US culture and history. Originally a private residence built by Swan Turnblad, a Swedish immigrant who made his fortune in publishing Swedish-language publications in Minneapolis. It was built at the turn of the century and later turned into a museum and cultural center in 1929. I used to drive by this place all the time and never once went in. 9. 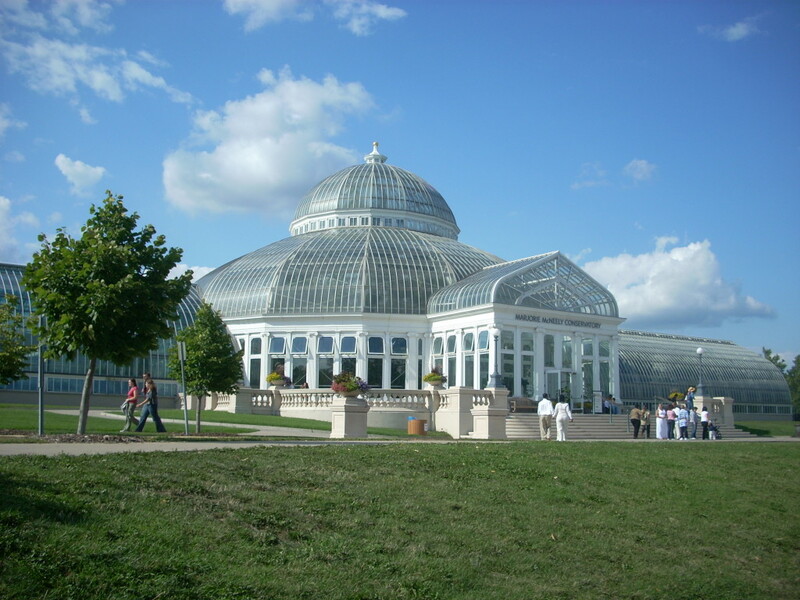 Marjorie McNeeley Conservatory, St. Paul – One of very few glass-domed Victorian-style indoor gardens in the US, the Marjorie McNeely Conservatory was built in 1914 by the German-born architect Frederick Nussbaumer, and modeled after the Royal Botanical Gardens in England. Found inside of St Paul’s Como Zoo, this indoor garden is home to more than 260 varieties of plants, including palms, ferns, flowers, bamboo, and more. Read more here. 8. 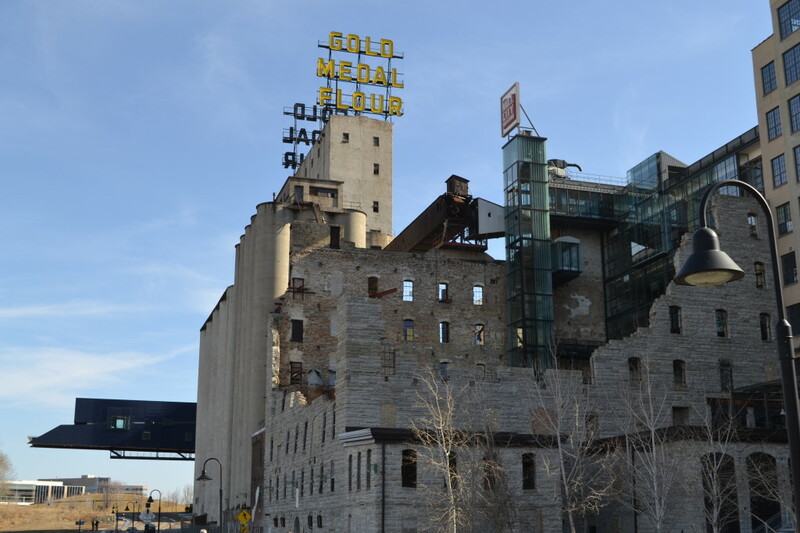 Mill Ruins, Minneapolis – One must applaud the idea of transforming an old flour mill, severely damaged due to an explosion in 1878 and a fire in 1991, into a museum and park, now ran by the Minnesota Historical Society. The building, known as Washburn A Mill, was built in 1874, and served as an important part of early Minneapolis’ commerce history. At the time it was the largest flour mill in the world. The explosion killed 18 people and destroyed most of the mill and 5 nearby mills. The Mill Ruins Museum was built into the ruins of the mill and tells about the growth of the city and its milling history. 7. 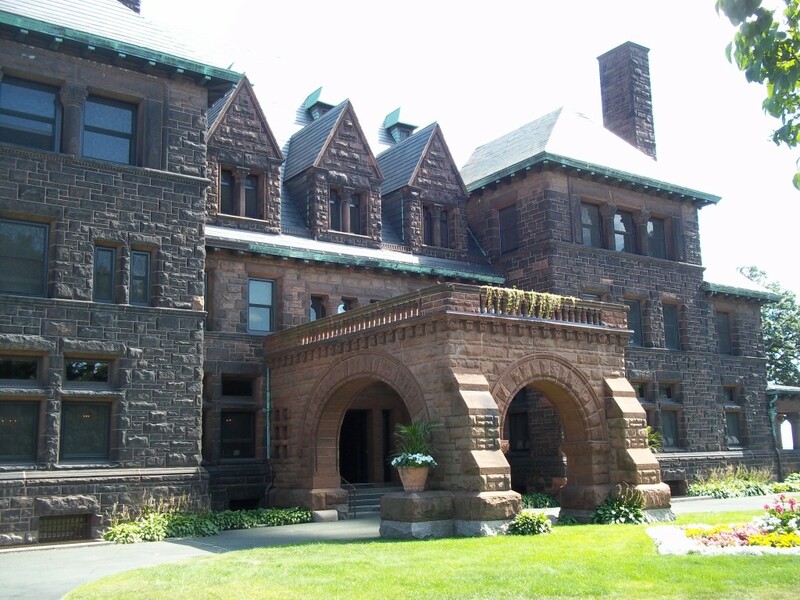 James J Hill House, St Paul – This mansion found in St. Paul’s historic Summit neighborhood just steps away from the Cathedral was built by railroad magnate James J. Hill in 1891. Another example of Romanesque architecture, this modern marvel is still considered one the largest homes in Minnesota. 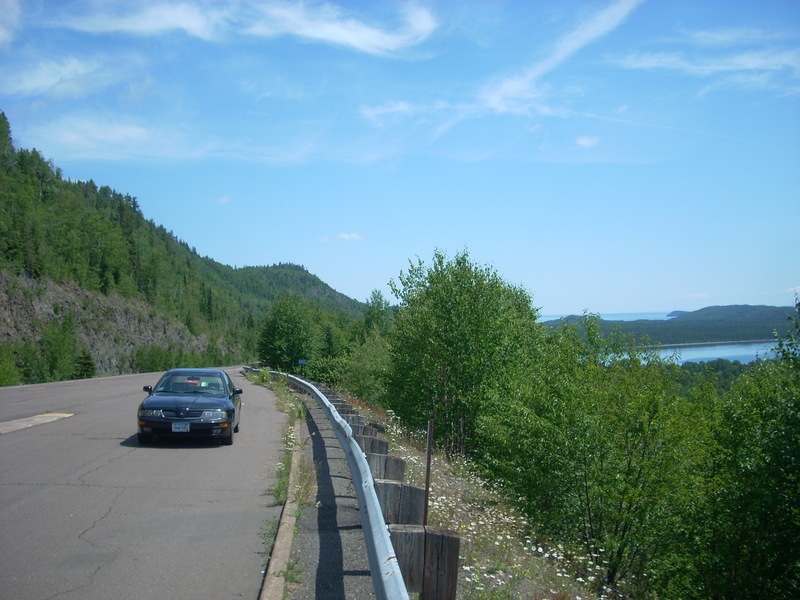 It sits on top of a bluff overlooking St. Paul and tours are offered by the Minnesota Historical Society. After the hill family vacated, the home was owned by the Catholic diocese of St Paul, and in 1978, it was acquired by the MHS. The interior has been preserved and is just as grand as one would imagine. 6. 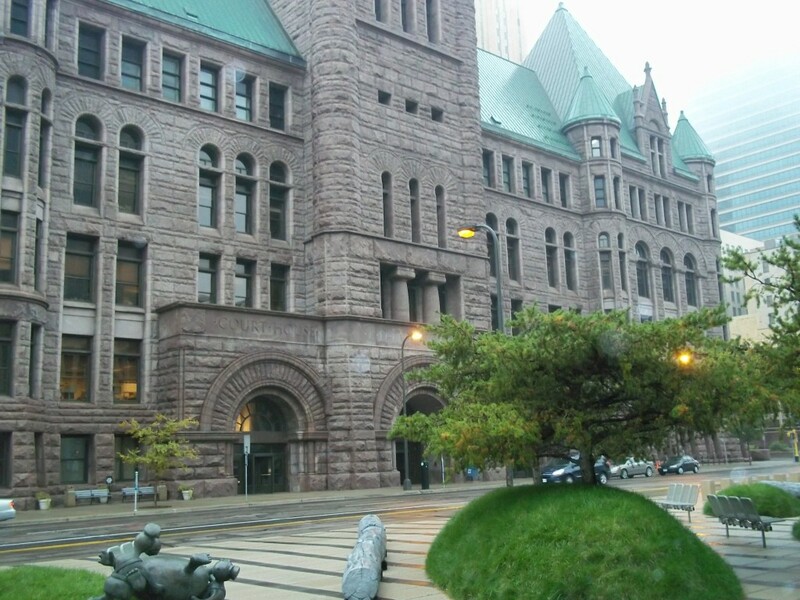 Minneapolis City Hall and Hennepin County Courthouse – Admittedly not the best picture of the building, the photo still shows another example of Richardsonian Romanesque architecture, with red granite blocks, arched doorways, columns, turrets, and its copper roof, green with patina. The building was built between 1887 and 1906, and was added to the National Register of Historic Places in 1972. Unlike most buildings downtown, it is not connected via skyway. 5. 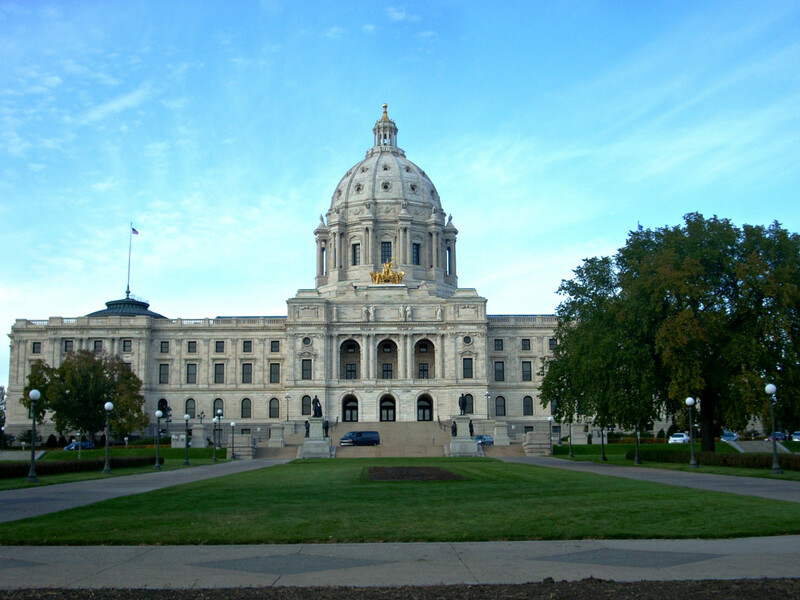 State Capitol Building, St Paul. – Built in 1905 and said to be modeled after Saint Peter’s Basilica in Rome, this stately structure features a marble domed ceiling with four golden horses pulling a chariot on its façade. It also is believed to be inspired by the US Capitol building as well. The building is set on a manicured, landscaped campus with various monuments of historical figures such as Leif Erikson, Hubert Humphrey, Charles Lindbergh, and other noteworthy Minnesota pioneers. 4. 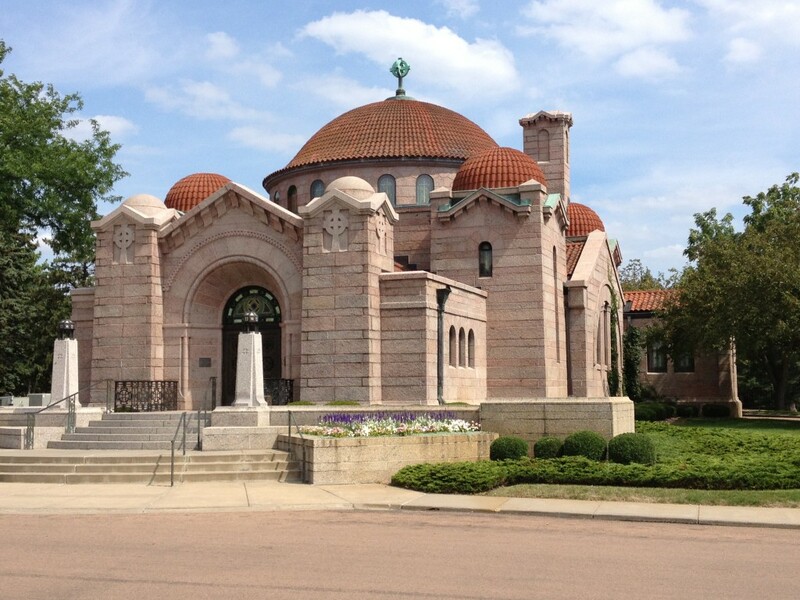 Lakewood Chapel, Minneapolis – Located inside of Lakewood Cemetery, the Memorial Chapel was built in 1910 and modeled after the Hagia Sophia in Istanbul, Turkey and serves as the architectural focal point of the cemetery. Like many buildings on this list, it is listed on the National Register of Historic places. Its chapel dome is 65 feet high and ringed with stained-glass windows that serve as a sundial telling the time of day and season. The interior also features a mosaic made of marble, colored stone, and glass fused with gold and silver. 3. St. Paul Landmark Center, St Paul – The unique Landmark Center in downtown St. Paul serves as an arts and cultural center for St. Paul. Its beautiful, castle-like design of turrets, spires, a clock tower, and red clay tile roof are emblematic of Romanesque Revival architecture. Originally built as a courthouse in 1986, the building almost met the wrecking ball back in the 1970s until a group of preservationists was able to save it. 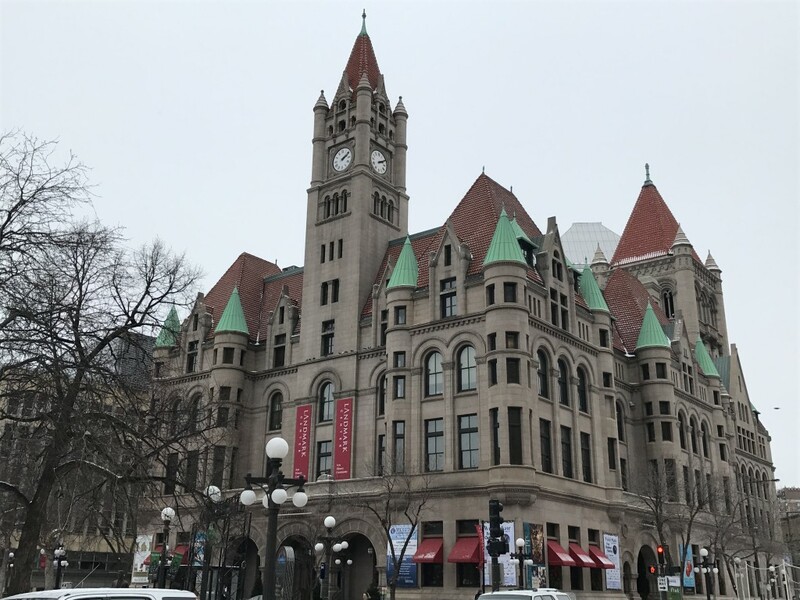 Now a treasured landmark of St Paul, the Landmark Center hosts events and is home to a restaurant, gift shop, a museum, and classrooms for the St Paul Conservatory for Performing Artists. 2. 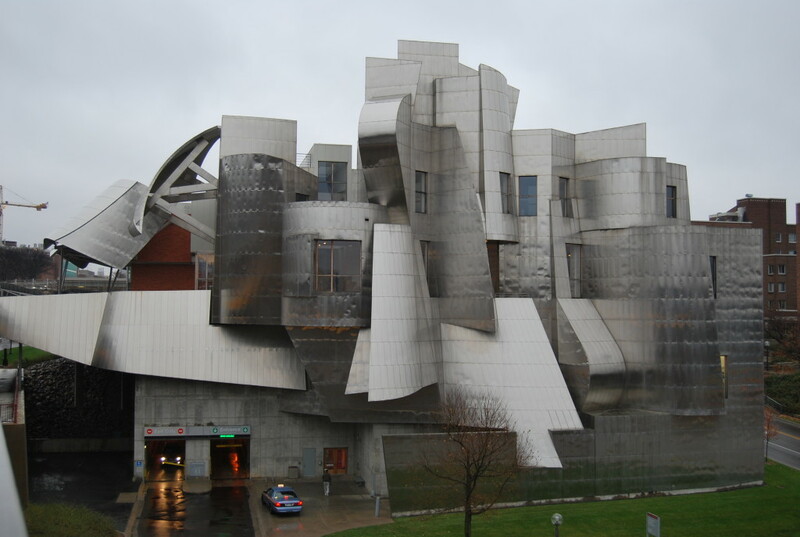 Weisman Art Museum, U of M Campus Minneapolis – A distinctive landmark of the U of M, the Weisman was designed by renowned architect Frank Gehry and was completed in 1993. Gehry’s signature trademarks are all here – the stainless steel panels, the fragmented angular design, and the “deconstructivist architecture” he so often employs to give his buildings the aesthetics that set them apart. 1. 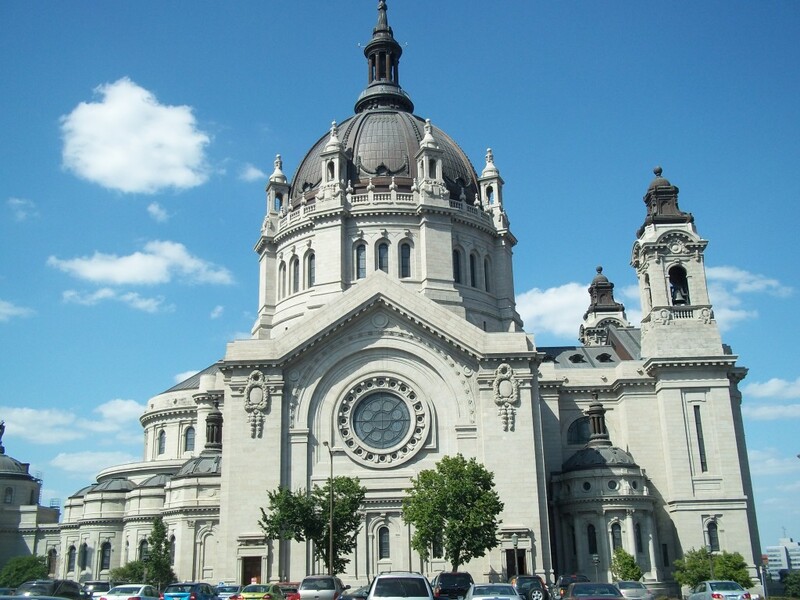 Cathedral of St Paul, St Paul, MN – One of the most impressive cathedrals in the United States, the Cathedral of St. Paul sits on a hill overlooking downtown St. Paul and the Mississippi River. It is the third largest church in the United States. This magnificent structure, modeled after French churches in Paris, features French Renaissance and Classical themes. It’s absolutely huge, and the interior is incredibly beautiful, with its ornate and intricate design and 186-ft high domed center. The Cathedral is now also known as the National Shrine of the Apostle Paul. This architectural marvel, in my opinion, the most beautiful building in the Twin Cities. Honorable Mentions: Riverside Plaza, Minnesota History Museum, The Bakken Museum, Minneapolis Institute of Art, Basilica of St. Mary. 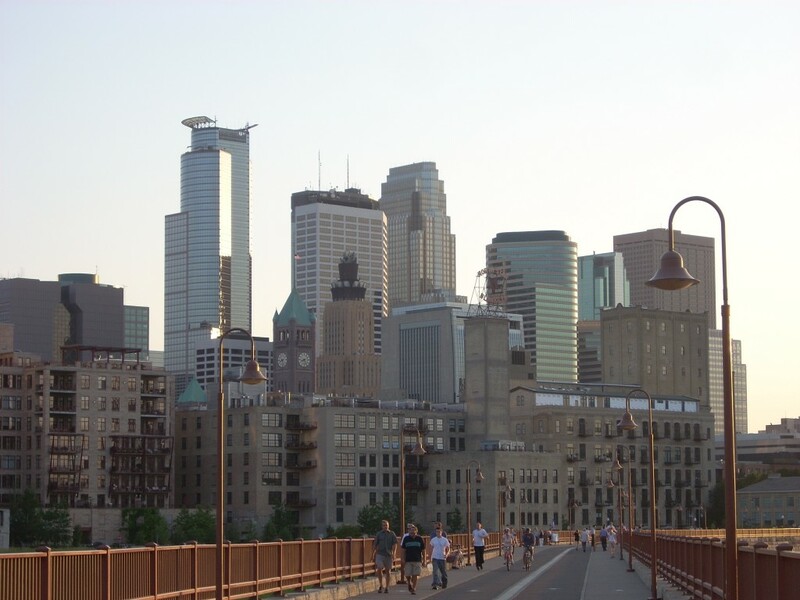 This entry was posted in Highway Highlights and tagged architecture, Minneapolis, MN, St Paul, Top 10 by Seth5544. Bookmark the permalink. I visited the area 2 years ago and seeing some of these buildings was really cool! I would love to meet architects that can design things like this.